Wedding DIY project number 1. Wedding Invitations. What a gong show situation this has been. 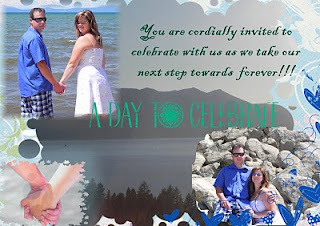 I have been stressing over how to get these invitations done. Do I print them off at home? Take them somewhere to have them printed? Should I just scrap my original idea and get a generic type card from Michael's and go that route? I just didn't know and it was getting stressful.